Grays Needle Tubes are very fine stainless steel tubes designed for making ultra slim tube flies for salmon, sea trout and steelhead. Introduced by Grays of Kilsyth for the start of the 2008 fishing season, they have now accounted for a number of salmon and sea trout here in the UK. It seems that they also travel well, as the following report by Bob Schoeller shows. 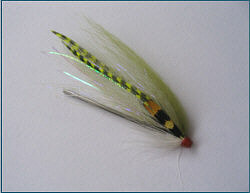 Bob is a keen fly fisher and expert fly tyer from Erie in Pennsylvania. 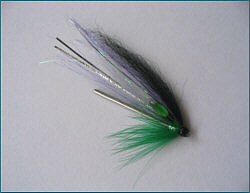 He has recently devised a number of needle tube patterns, shown below, for his Lake Erie steelhead. As Bob says, "These tubes truly have made the presentation of slim life like flies much easier"Â�. 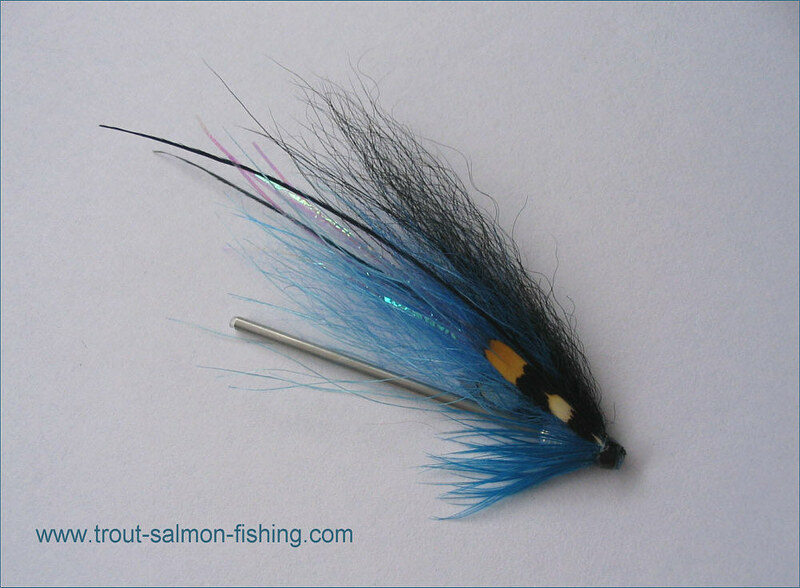 Not only have his needle tube patterns proved effective but they are among the most beautifully dressed flies I have seen. Bob dresses his needle tubes both as baitfish imitations (juvenile smelt and "shiners"), for use early in the season when the fish are actively feeding in the lake, and as attractor patterns for later in the season when the fish have started to really enter the rivers. As Bob says, "The attractor flies also work occasionally in the lake when the rivermouths are a bit turbid from wave action or a spate. 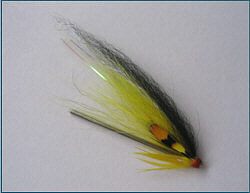 I only use the tube flies on the lower sections the rivers. We don't have tides here on the lakes, but the fish tend to mill around for some time after they move in and act as if they are not sure what they want to do... some will even go back into the lake and make several attempts to enter before they finally make up their minds. In any case, they are real suckers for flies with or hot pink in them. 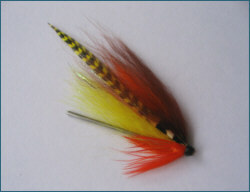 Once they have run some distance up the streams, I switch flies to nymphs below a strike indicator or Irish style shrimps, albeit more colorful than your average shrimps." 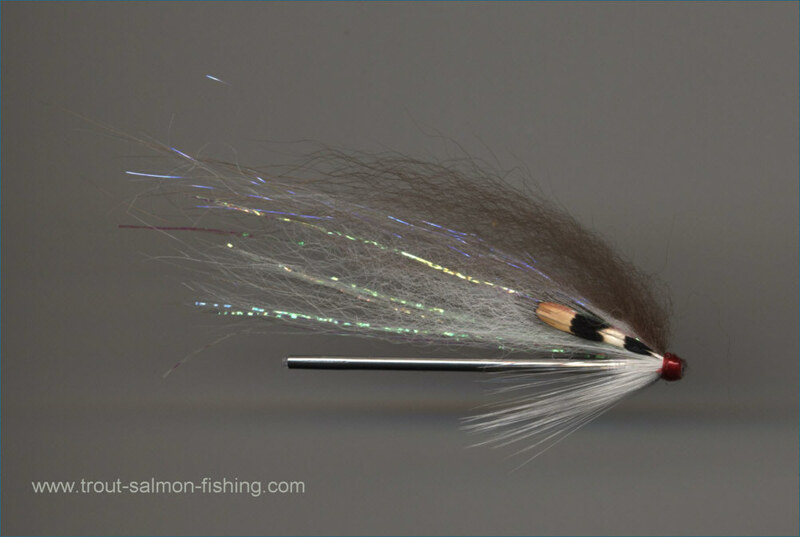 The flies shown below illustrate the sizes, colours and fullness of tie that have been most effective on Bob's local steelheads. As he says, "I like to use soft Arctic Fox or Temple Dog hair. 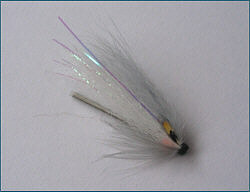 The soft hair really allows the fly to have a lot of movement in the water. When I strip the fly in in short jerks, the flies really pulsate and look alive. I also put a lot of flashy materials, (pearl Flashabou and U.V. flash etc.) in the fly. I like to put the flashy material under the top part of the wing so it sort of shines through the hair and give the fly a "glow" in the water that isn't so harsh as to frighten the fish. I fish the light coloured ones on an intermediate sinking line with a 10 to 11 foot tapered leader of fluorocarbon, tapering down to no lighter than 3X. 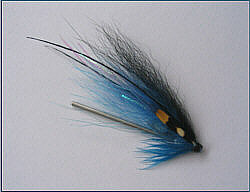 I fish these in the lake itself where the rivers are flowing into the lake. Current is not usually an issue here. Usually I cast out parallel to the flow of the current, but to the side of it, and let it sink for a count of 5 or 6 seconds. Then I strip it in in short jerks. 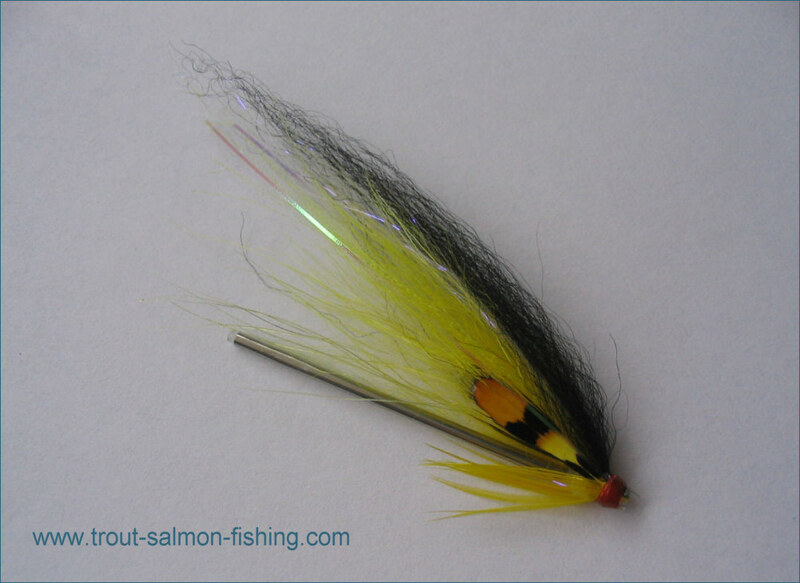 The darker flies I usually fish in the rivers themselves, and cast cross current and let them swing down through the lies, mending as the fly goes to keep it near the bottom. Here I usually fish them below a short polyleader of 5 ft (I prefer Airflo 5 ft Salmon/Steelhead polyleaders) then add a 4 or 5 ft straight strength fluorocarbon leader below this. Obviously you change the polyleader sink rate as needed (I carry several pre-tied ones and may change them 5 or 6 times on a trip depending on what pool I@m fishing). This is based on the fact that I@m usually using a single handed rod (most of our rivers are quite small). I will use a double hander where warranted, and of course the leader length will change accordingly. I hope your Scottish fish find them interesting." I am sure they will, Bob.